It's that time. I just hooked up the pump and DE Filter and threw the hose in. I'm heading out to the store to pick up cases of 10% and a new telescopic pole. I have not tested yet. I use to be able to see the sediment on the bottom but the algae is blooming again due to the warmer weather. I'm topping off and going to vac to waste the first time, fill again, run full set of numbers from the TF100 and start SLAM'ing. I knew I needed something else! Thanks Matt.... you're the best! Just remember, we will be here to help you along in this process!! On a serious note though, it is nice to know that the foot is all better, and that you are able to enjoy the pool this year! Wish I could say it's 100% better but I can't. I still have some pain but it's 85% better than it was. I walked it to death. Lol Now I need the other one done but I'm not looking forward to it because it was so painful. I ended up with a plate and 7 screws in my arch n top of my foot. On another note... I just bought 50g of 10% for $2.99 A gallon. Now I need my pole and DE filter media n I'll be good to go. Keep us updated and we'd love to see a shot of it all clean and sparkly when your done. I just spent the last hour or 2 vacc'ing to waste. You can see the lighter green where I could pick up vegetation verses where it laid on the floor. I had to keep emptying the basket every 5 minutes. I was going to SLAM tomorrow but we're getting a 4 letter word that starts with "S". Did you tell the place you bought that from that you were cleaning up after a murder? My husband asked me if anyone questioned my motives. The one cashier asked if I were opening my pool n said it was too cold. This is one of the coldest April's we've had in a while. I need to fix a minor leak and top the pool back off. My vac hose is full of vegetation and I'm not sure how I'm going to get that out or if I'll just buy a new hose. I'd like to start the SLAM but with the temps below 32° tonight, I'm afraid to shut my filter off. I should just wait til Sunday. Wasn't going to start the pump today but I changed my mind. Just got finished topping her off a second time and started my pump n filter. I'll circulate for a half hour and run a set of numbers and start my SLAM in a couple hours. 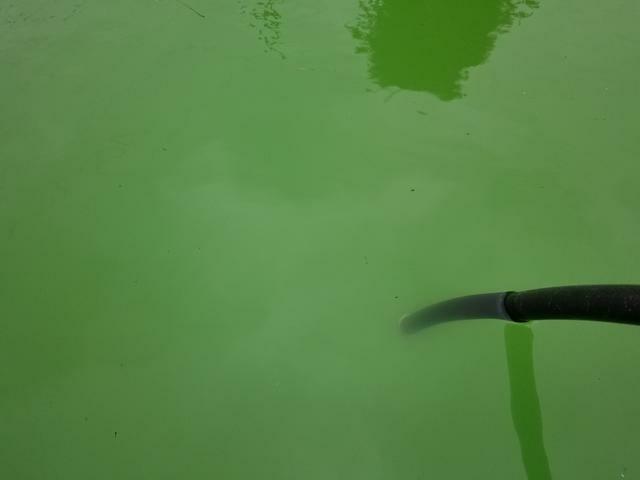 Pool water looks lighter green than yesterday since vacuuming the crud off the bottom. 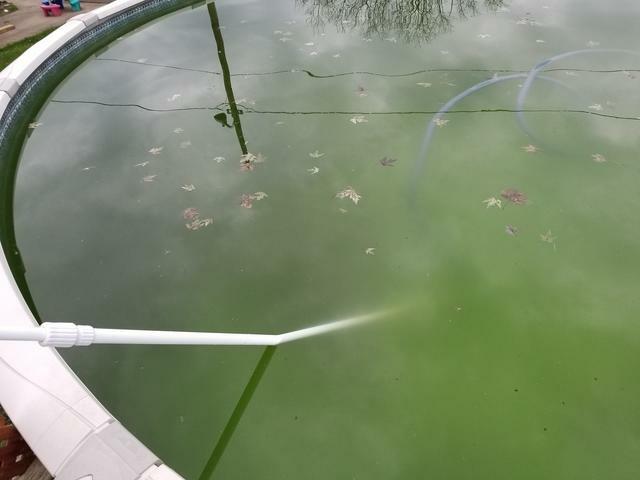 Ya know, you could put your filter into recirculate, shock the snot out of it for 24 hours and then floc all the dead algae to the bottom of the pool and vacuum to waste. Then proceed with SLAM as usual. 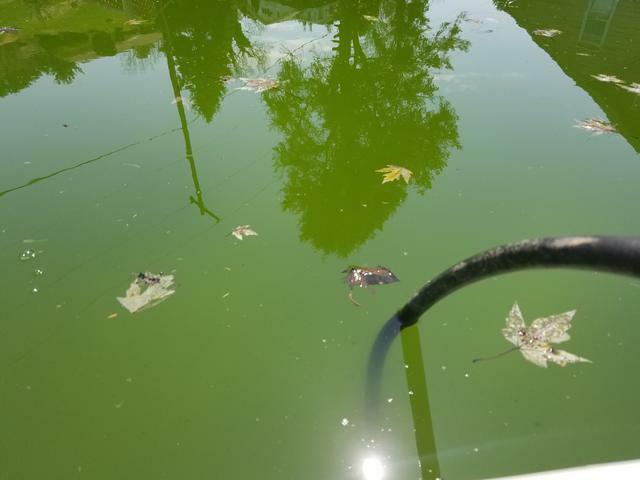 The point would be to save you from having to backwash a lot of dead algae & DE out of your filter. 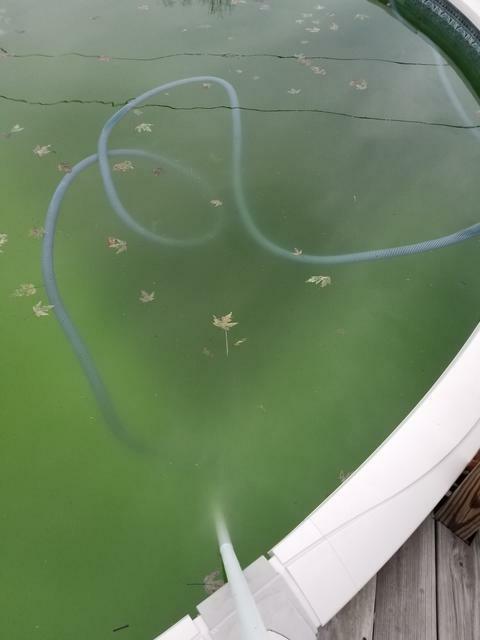 I would imagine with the typical SLAM, you'll be backwashing that filter a lot as soon as all the algae starts to die. 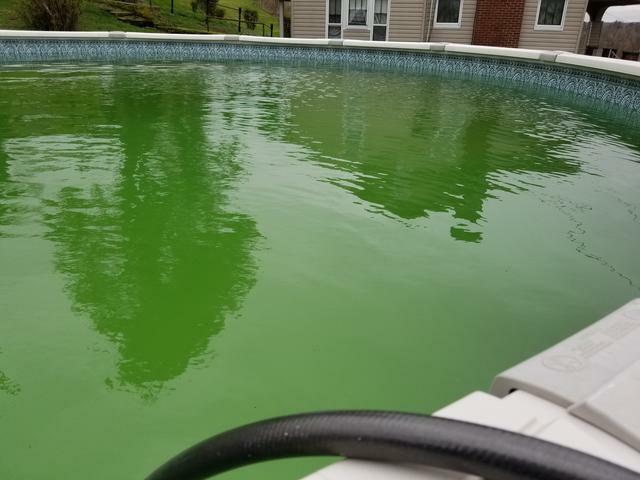 By the way, your pool matches the lawn...nice job on the color coordination! I don't have a recirculate on my DE Filter or I would. Unless you know something I don't... ??? 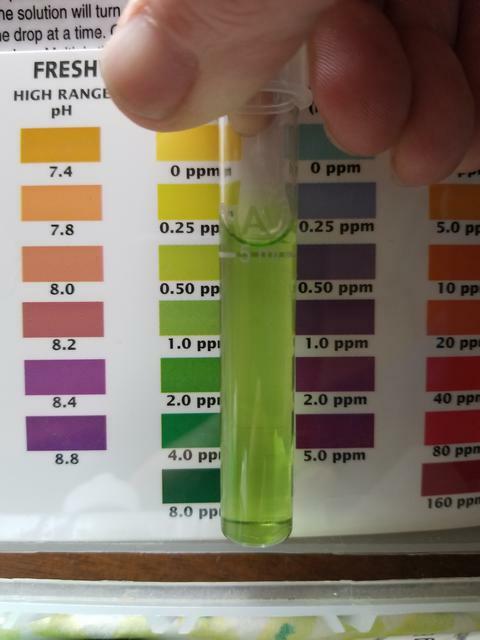 Test results from the TF100 and 1 ammonia test from API Fresh Water Test Kit. I'm going out to adjust the pH right now. I'll recheck it in a half hour. As far as the ammonia goes, im assuming i should wait to add CYA until I get the ammonia neutralized? I saw vacuum to waste and thought your multiport had a recirculate option. Guess not. You’re going to need 10ppm FC right off the bat to kill all the ammonia. How are you adding CYA? You could use a couple of pounds of dichlor to start off with and add enough dichlor to get your CYA up to 30ppm. Then switch to bleach. I bought CYA. I don't use dichlor at all. 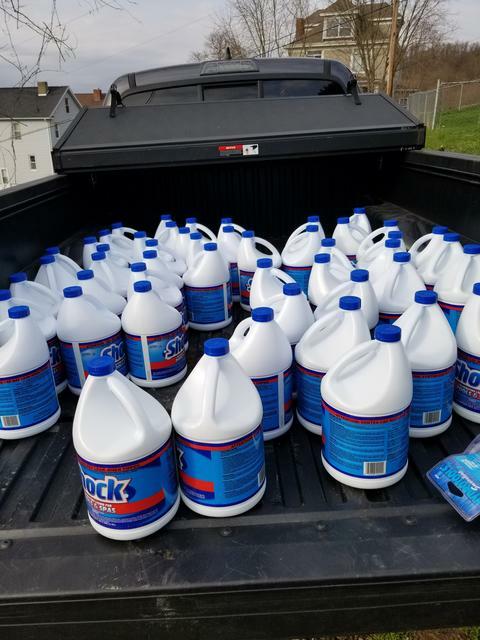 Just bleach. I opened the bottom of the filter and let it pull water out while I vacuumed. The pH is still at 8.2. I just added more muriatic acid. And the SLAM has started! Added 256 oz of 10%. I over shot a bit as the pool calculator called for 207 oz for 12ppm. I threw 2lbs of CYA in a sock that is sitting in the skimmer, aiming for 30ppm. I'll check the FC here in a bit. The pH was at 7.2.